You are here: Home / You / Time to Quit Your 2019 New Year’s Resolution! A New Year – so shiny and fresh and full of potential! I find the prospect of a new year to be equally exciting and terrifying. Exciting because it gives you a chance to say goodbye to the old and embrace the new. But terrifying because it’s such an unknown. Strangely enough, the other part of a new year that terrifies me is setting New Year’s Resolutions. Yes, I said terrifies! It seems so expected in our modern world to set resolutions for ourselves. It’s also excepted that no-one will stick to them! So why bother? We put extra pressure on ourselves to meet unrealistic goals that we set JUST because it’s a new year? 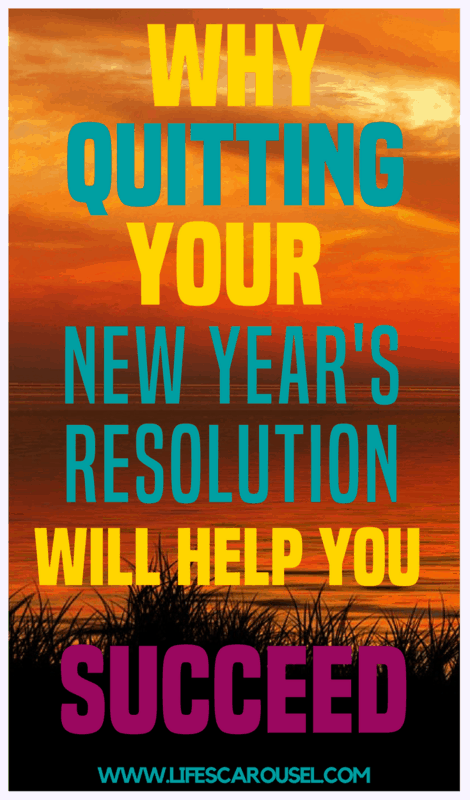 So I’m giving you permission to quit your resolution and not feel guilty about it! You might now be asking me if you don’t make New Year’s Resolutions what are you meant to do instead? How are you meant to grow and make progress? Well, I’m not saying to not have goals or aspirations. But I just can’t understand why we have to wait until some arbitrary date on the calendar to start. Why don’t we set “Birthday Resolutions” or “Valentine’s Resolutions“? For most people, the start of a new year is a pretty crazy time. We’ve just got over the excitement and stress of the holidays (and expense! ), we might have new projects starting at work – so why add more stress to your life? Why set new goals and routines for yourself at a time when you are already tried and stressed out? Pick a date later in the year. Maybe Valentine’s day? Or just any random date that appeals to you! 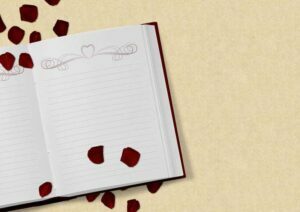 Spend time before your chosen date to decide and craft resolutions that will actually WORK for you! Share your resolutions with family, friends or co-workers – anyone that will hold you accountable. Doesn’t that seem less stressful than the dreaded (and much maligned) New Year’s Resolutions? So what makes a good resolution? 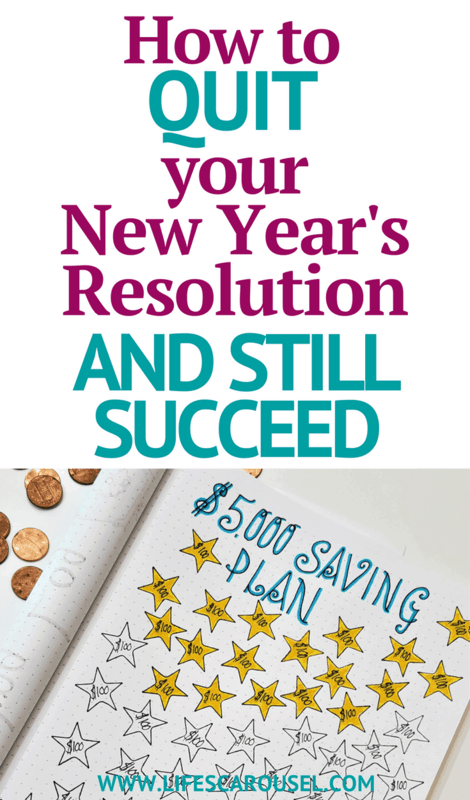 Well, a resolution is basically goal setting. So what’s the best way to set goals? The answer is SMART! You need to be specific with your goal. “Get healthy” isn’t specific, but “lower my blood pressure” or “eat more whole foods” are specific. You need to make your resolution is measurable. Saying you want to lose weight is great, but how will you know when you have been successful? “Lose 15 lbs” is a specific and measured goal. “Increase my monthly income by $300” is also a measured goal. Make sure your non-new year’s resolution is also achievable. It needs to be attainable and responsible. There’s no point in saying you want to save $10,000 in 2 months if you can’t possibly earn enough to meet that goal. Goals are awesome! They help us stay on track, but they have to be relevant to our lives. Promising yourself that you will be fluent in Klingon by summer isn’t going to help you further your career (unless you work in a comic book store!). The last piece of the puzzle is a timed resolution. You need to set yourself a deadline. We all work better when we are up against a deadline! Resolutions are no different. “Redecorate the living room within 2 months” is a useful timed goal. 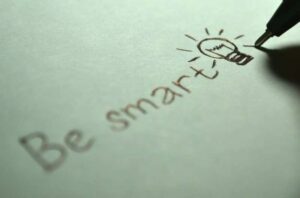 It’s easy to write SMART resolutions for yourself once you understand how! Rather than say “Get healthy”, a SMART resolution would be “Lose 15 lbs before my birthday by eating whole food and exercising 3 times a week”. The more specific your goal, the more likely you are to reach it! 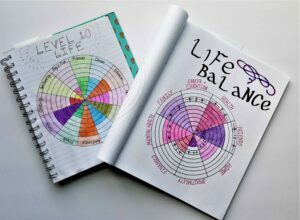 Take our Balanced Life Quiz and find out which areas of your life need the most help! One of the reasons I dislike New Year’s Resolutions is because no-one takes them seriously. We’ve all been in the situation where we tell our friends and family that we are going to lose weight for a New Years Resolution. Their response is normally along the lines of – “Bet that will only last a few days”! They don’t intend to be mean, but it’s the first thing that comes to mind when people talk about New Year’s Resolutions… no-one sticks to them! So you are already starting off your new goal with a mindset that “most” people give up or fail before the month is over. How is that going to motivate you to continue? Imagine having the same conversation with your friends, but later in the year. Would they automatically assume that your new goal is a fad and that you will give up? Just the sheer act of picking January 1st as the first day of your new habit is putting you at an instant disadvantage! To give yourself the biggest chance of success in your new resolution, you need to plan ahead. You need to prepare yourself, your routine and your family/friends. Deciding to start a new resolution on a whim and jumping straight in, is ultimately going to result in failure. Here are some of the ways you should plan your resolution ahead of time, so you give yourself the best possible chance of succeeding. When we start a new resolution we often don’t want to tell anyone because we are embarrassed. We worry that they will laugh at us or not be fully supportive. By keeping your goals a secret you are giving yourself permission to not stick to them. If no-one knows that you are trying to go to the gym more often, then it doesn’t matter if you stop going. No-one is going to ask you about it and the only person you are answerable to is yourself. However, if you have told some of your friends or family, then if you skip the gym one day they will likely ask you why. Suddenly the excuses you have been making to yourself don’t sound as good. So that’s my first tip to help you stick with your goals – Accountability! Tell someone… anyone… about your plans. You don’t need to tell everyone, you don’t even need to tell your family or best friends (although that is a good idea), but you do need to tell someone. 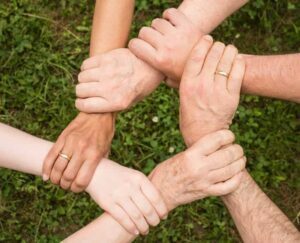 There’s plenty of online groups that you can join (do a search on FaceBook) if you don’t have anyone in your life that will be supportive. The hardest part about sticking with a new resolution is… well… sticking with it! We normally set ourselves goals that push us outside our comfort zone. Whether it’s a healthy lifestyle change or a change in work habits, we normally pick something that doesn’t come easily (if it did come easily then we’d already be doing it!). Sticking with something that is new, difficult or just different can be really hard. But just because it’s hard, doesn’t mean it’s impossible. In fact, it’s very possible! I wrote a post all about willpower and how to “hack” your motivation to develop new habits and stick with them. Willpower is like a muscle – we have to exercise it to strengthen it. But we can also OVER-exercise it and wear it out. The first few days of a new habit are difficult. You need to do all you can to strengthen your willpower so you can make it through those few days. Excitement: You are excited about your new goal and you want to work towards it every day. Struggle: This is the time when you are most likely to give up. The excitement has worn off, but you haven’t established a routine yet. Habit Forming: The second week isn’t normally as difficult as the first because you are probably starting to see some small benefits from your new habits and routines. They aren’t full habits yet, but you might have a built a routine around it, so it doesn’t feel as difficult. Seeing Results: In the third week, you really start to feel or see the results of the changes you’ve made. It’s still a struggle some days but you also now know that it is worth it. Habit Formed: The final stage is when your habit is fully formed. You’ve seen the results and you know your hard work is worth it. Your habit is probably automatic now and you don’t have to give much thought to it. That’s the sweet spot! We hear a lot about goal setting in the modern world. Setting goals are seen as the ultimate way to succeed. And it’s true! After all, what is a resolution if it’s not a goal? The trouble with resolutions is that we normally make them very big! 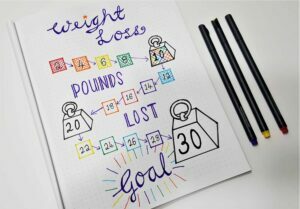 Your goal might be to lose 30 lbs by the end of the year. Long-term goals are great, but they lack urgency. If it’s July and you’ve only lost 5 lbs, you might say to yourself “it’s OK, I’ve still got 5 more months”. It’s a bit like doing homework or studying for an exam – most people leave it to the last minute! The best way to overcome this procrastination is to break your long-term goal down into shorter goals. Maybe decide that you want to lose 10 lbs by the end of May. This new mini-goal will keep you on track and moving towards your larger long-term goal. If you’re not sure what to set as your short-term goals, then just break your long-term goal down equally. For instance, if you want to save $1,000 in 5 months, then you need to be saving $200 a month or $100 every 2 weeks. That seems much more manageable than $1,000! I love using my bullet journal to track my progress towards goals and resolutions. 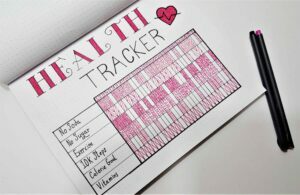 I’ve written before about how I use my bullet journal to track my healthy choices, savings, weight loss and even my reading list! No matter what your resolution there is a way to track it. Just checking off a box at the end of each day that you didn’t drink soda, can give you a sense of achievement and motivation to continue. 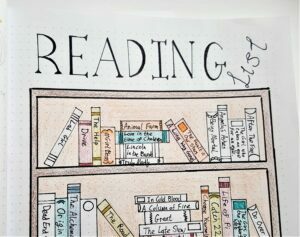 You don’t need a bullet journal to do this, although if you’re interested in starting one – check out my Beginners Guide to Starting a Bullet Journal. 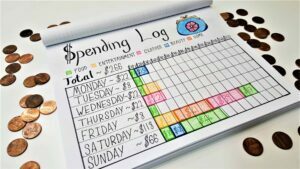 You can track your resolution on a scrap of paper stuck to the fridge, on an app on your phone, a page in your planner or journal and a million other ways! So that’s it, I’m totally making “Non-New Year’s Resolutions” a thing in my life! Everyone deserves to live their best life possible and sometimes that means pushing ourselves outside our comfort zone. However, you need to remember that a little discomfort now will make your life better in the long run! What is your Non-New Year’s Resolution? Why have you chosen that? Share it below in the comments section (and we can be one of your accountability partners! ).